BREAKING: The Inclusive Curriculum Bill (HB 246) just passed the Illinois House Education School Curriculum Committee! The vote was 13-7. Thank you to sponsor State Rep. Anna Moeller! 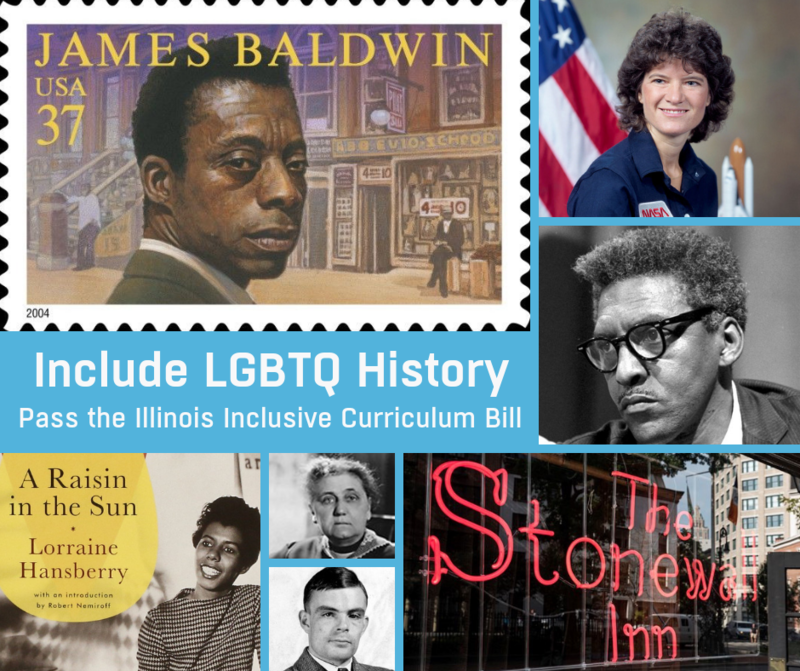 The bill, which is an initiative of Equality Illinois, The Legacy Project, and Illinois Safe Schools Alliance, will include the contributions of LGBTQ people in the history curriculum in public schools. Contact your state representative now: tinyurl.com/IllinoisInclusiveCurriculum.